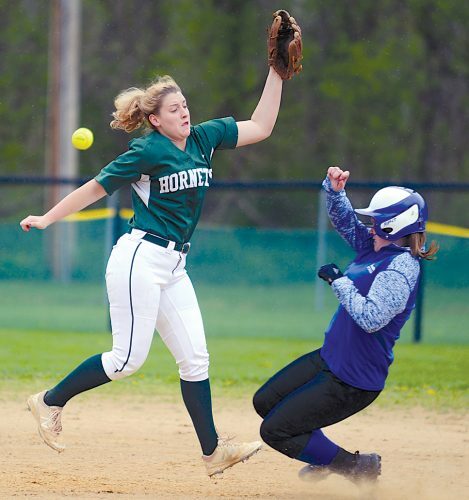 McCANDLESS — In a high-scoring affair early on in Monday’s opening round of the PIAA 3A softball playoffs, Central matched District 7 champion Southmoreland hit for hit and run for run, tied at five through the first four innings. But then came the fifth inning and with it, a brief one-run lead for the Dragons. In the home half of the fifth frame though, Murphy’s Law struck for Central, and timely hitting prevailed for Southmoreland, as Central allowed three runs that later turned into a 10-7 loss. Prior to the “trick play” Walters referred to, the fifth stanza started off with the lone error for Central, after Southmoreland’s Lexi Klatt hit a leadoff double and advanced to third after Maddi Metzler missed the cutoff man. Jess Matheny then laid down a bunt for Southmoreland and a charging Tori Longnecker faked the throw to first, forcing Klatt into a rundown. Metzler darted home and slid head-first under the tag to draw the game even at 5-5. From there, two singles, a passed ball and a crazy play that resulted in two outs at the plate to end the inning provided Southmoreland with a two-run cushion. But on one of those plays at the plate, Central pitcher Dylan Claycomb was spiked on her throwing arm, but stayed in the game to pitch. 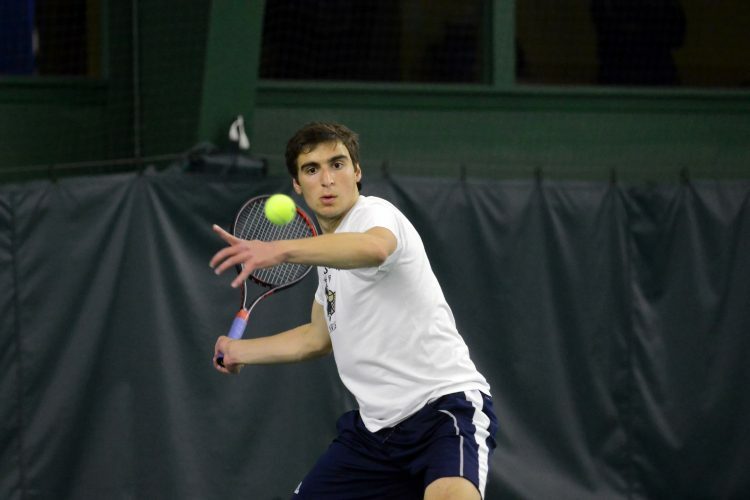 The junior wasn’t 100 percent, especially with a midseason injury factored in as well. Central put up three runs in the top of the first inning and two more in the second, as seven different Dragons earned hits, one of which was Claycomb. Hitting has been a point of emphasis all season for the pitcher. The importance of hitting most likely came from Walters, who finds something mechanical in each player’s swing each time they step out of the box. Walters shouts out pointers from the third-base coach’s box to prepare his players for the next pitch. That mindset was contagious in the opposite dugout as Southmoreland coach Todd Bunner wasn’t entirely comfortable with a four-run lead as Central made its way to the dugout for its final at bats. While Central loses four starters to graduation next year, Claycomb will return three other juniors, as well as sophomore catcher Cam Feathers. The success that the Dragons found this season lays the groundwork for next year’s expectations. “I think the juniors that are going to become seniors and with Feathers, we’re still going to be really good,” said Claycomb. CENTRAL (7): Smith 2b 0-for-3, Baker 1b 1-for-3, Ritchey ss 2-for-4, Negley rf 1-for-3, Feathers 0-for-3, Claycomb p 2-for-3, Mock lf 3-for-4, Metzler cf 1-for-4, Longnecker 3b 2-for-3. Totals: 12-for-30. SOUTHMORELAND (10): Henderson rf 3-for-3, Bunner cf 1-for-2, Miller 2b 2-for-5, Klatt c 2-for-4, Matheny p 0-for-4, Eutsey 3b 2-for-4, Fullem dp 3-for-3, Myers 1b 1-for-2, Shetterly lf 1-for-4. Totals: 15-for-29. E–Metzler, Corvin, Miller, Shetterly. 2B–Claycom 2, Ritchey, Mock, Metzler, Henderson 2, Bunner, Klatt, Fullem, Myers. RBI–Ritchey, Claycomb 2, Mock 2, Metzler, Henderson 2, Miller, Fullem 3, Shetterly. WP–Klatt. LP–Claycomb. SV–Matheny. SO–Claycomb. BB–Thompson, Claycomb 2, Matheny 3, Klatt 1. Records: Central (14-10); Southmoreland (11-7).